The Spectrum Miami Art Show Nov 30 -Dec 4 is on my Miami Art Week Must-See List because this juried contemporary art show, in the heart of the Arts and Entertainment District, features fine art from top galleries and artists from across the U.S. and internationally, along with entertainment, curated projects, and evening events. 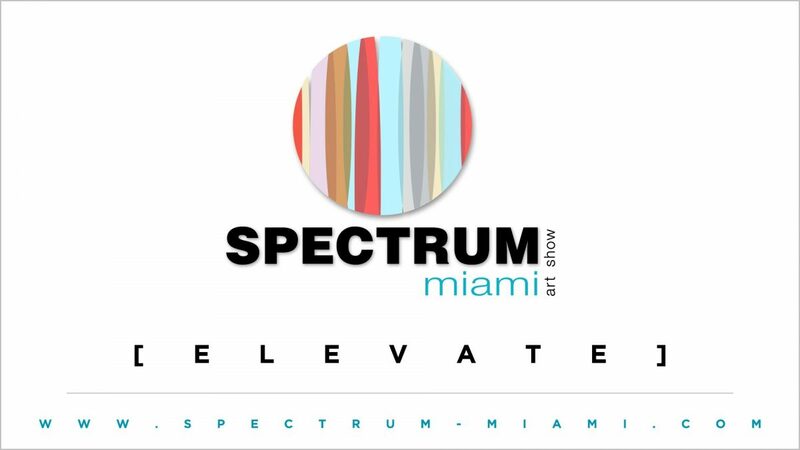 The theme for Spectrum Miami 2015 is [ELEVATE]: Heightening your senses at the hub of the art world. Spectrum Miami features specially curated programs that are informed by the theme, including site-specific Art Lab projects, Art Talks, a specially selected emerging LaunchPad Artist, and a selection of Spotlight Artists. These programs provide a dynamic experience for attendees, allowing them to view and interact with works by leading national and international artists and view exhibitions and events that showcase the thriving art landscape of Miami.